TCM may become a streaming service. In what may be a super obvious statement, if it's done right and priced well I don't see any downside to this - presently the WatchTCM interface leaves a ton to be desired as it still doesn't support HD and often looks pretty crummy as such. If a paid alternative subscription which features more diverse support across devices is in the offing, I'd be first to sign up. I don't think I'd be quite as irritable about their lack of HD if it hadn't had the "HD movies are coming!" message since the day it launched. Turner Classic Film Festival schedule has been announced. I really want to see the "The Passion of Joan of Arc" with live orchestra. If you like Westerns, TCM is showing 100 westerns this month, every Tuesday and Wednesday. On July 24 and July 31, TCM will be showing several films that will be in Kino's upcoming Pioneers of African-American Cinema set. They're also exploring America in the 70s every Thursday in July. While most of the movies in this line-up are pretty standard, frequently played titles, there are a few of interest, particularly The Stepford Wives (long OOP) and Looking for Mr. Goodbar on July 14, and Jerry Schatzberg's Scarecrow on July 28. Sternberg's first sound film is on Fri, Aug 5, 12:00 AM ET. A death-row convict plots to kill the man who stole his girl. Last edited by Fred Holywell on Sat May 26, 2018 10:54 pm, edited 2 times in total. Fred Holywell wrote: Sternberg's first sound film is on Fri, Aug 5, 12:00 AM ET. I do hope they end up showing it, though! As it's a midnight showtime it's listed on the previous night's page. It's kind of backwards but it makes sense in its own way. It's playing Thursday, Aug 4 at 9pm Pacific / 12am Eastern. Werewolf by Night wrote: Is it any good? Except for The Saga of Anatahan, this 1929 release is probably the most underrated of Josef von Sternberg’s sound pictures, and it’s underrated for the same reason: Sternberg is known almost exclusively as a visual stylist, but the most exciting thing here is the highly creative sound track. 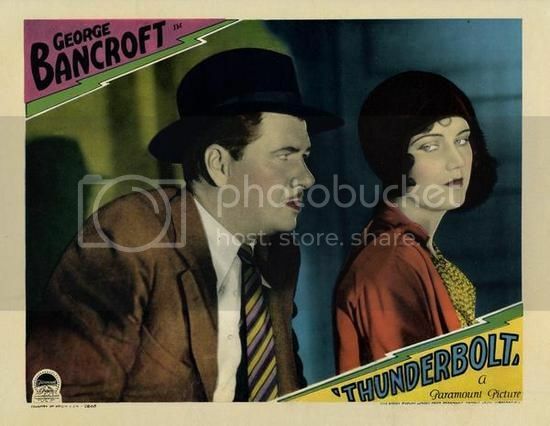 It’s Sternberg’s first talkie–a near remake of Underworld, a spiritual romance about a doomed gangster, with the same lead (George Bancroft) and Fay Wray–and although this is a minority opinion, I find it better than the original in many ways. With Richard Arlen and Tully Marshall. A young sailor remembers the events that drove him to leave his domineering mother. Dir: Michael Elliot. Cast: Shirley Booth, Barbara Loden, Hal Holbrook. C-104 mins. I've never heard of this and was further tickled to read that none other than Pat Hingle plays the gentleman caller! Dearly hope I get to see this one day and compare it to other adaptations and stagings I've seen previously. Sticking with TCM, apparently they've been showing Warner's in-progress restoration of Alfred Sole's Alice Sweet Alice since the start of this year, which I'd love to see too despite it being cut. Stupid Atlantic Ocean in the way. Two young criminals set out to seduce an unhappy married woman. Dir: Leslie Stevens. 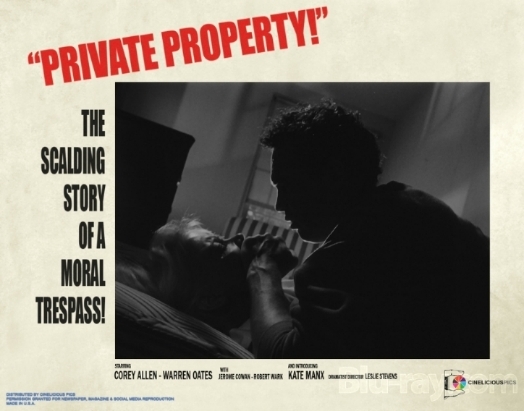 Cast: Corey Allen, Warren Oates, Kate Manx. BW-80 mins. Last edited by Fred Holywell on Sat May 26, 2018 10:52 pm, edited 2 times in total. TCM is reviving their old "Darkness After Dawn" film noir showcase on Sunday mornings, now called "Noir Alley." A different film noir every Sunday morning at 10:00 am eastern, hosted by Eddie Muller. They have posted the entire schedule through next January! That is a remarkably conservative list - I was going to make a joke about how one of them isn't really a noir or something but pretty much all of them are clearly within the delineation. I guess they figured if something *wasn't* really a noir they'd get angry letters from rabid noir fans. Last edited by Fred Holywell on Wed Jul 05, 2017 3:13 pm, edited 1 time in total. Damn. already missed opportunity to record Manxman. (I have it on one of those Hitchcock PD collections but the disc is kaput so I've never seen it). Wait, are you sure you missed it? The schedule looks a little funky, but I think those early morning times listed under Wednesday may be for Thursday - notice how they list the evening times first. I don't look at TV listings with nearly the same frequency that I used to, but at least for daily newspapers, I recall TV listings usually listing shows in chronological order while disregarding the change of day at midnight - with that in mind, I'm wondering if we're seeing the same thing here, albeit in a sloppy manner.